Welcome back to another Ages 25 & Up Flashback! This week, we're heading back to January 2009, and the story that introduced Scarlett's twin sister, Willow from Dreadstar. There's a break in the story for #21, which naturally, was a silent issue. I just had to. What other stories would you like to revisit? Helix's introduction? Army of Plastic? The legend of Roy? Let me know and we'll see them soon. Thanks for sticking around! A NEW COMIC POSTED EVERY WEEK! 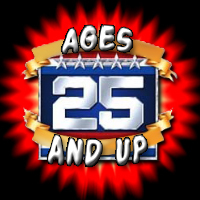 Celebrate 25 years of A Real American Hero with Ages 25 & Up, the online action figure comic strip with kung-fu grip and balljoints of steel. New comics are posted on/by Mondays. Clicking on a comic will load its full size. Clicking on the "Previous Comic" and "Next Comic" buttons will bring you to the previous and next posts containing comics. Some assembly required. No tools needed. Adult supervision recommended. #400 Sitrep & Flashback: Black Ops!